Sisters Netcare Service (SNS) is a not-for-profit organization based in Accra, Ghana. SNS is in the process of becoming affiliated with the International Association of Charities (AIC), a centuries-old benevolent society with headquarters in Belgium. 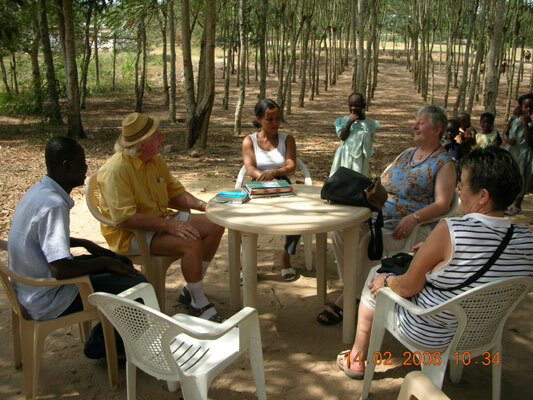 In 2006, SNS obtained a grant from AIC to fund training workshops in three Ghanaian villages. One of the workshops has already been completed. The women who went through the workshop have begun producing batik and tie-dye cloths and sewing shirts. These new artisans are now looking for dealers and customers. Ms. Juliana Bonsie is the President of SNS. She is assisted by Mr. Henry Kofi Sampson, Program Coordinator. Another person involved in marketing and reach-out efforts is Ms. Margaret Amamu. All three reside in Accra, Ghana.